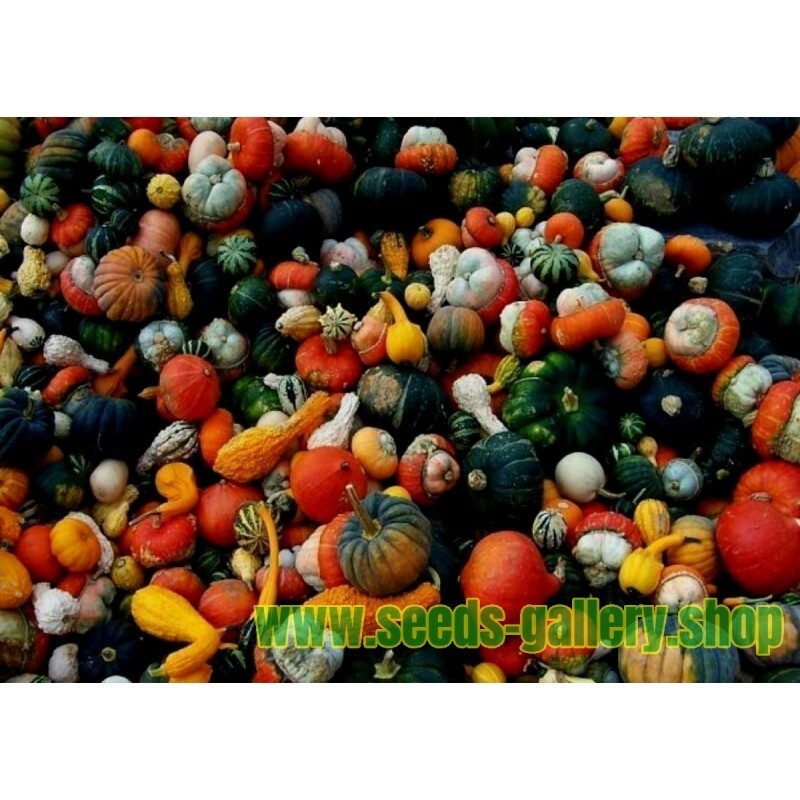 Ornamental gourds are the gaily colored, oddly shaped, squash-like, hard skinned fruits of plants belonging to several genera and species of the Cucurbitaceae family. They are closely related to the edible squashes and pumpkins, but included with Cucurbita are a different group of genera and species such as Lagenaria siceraria , Luffa cylindrica , Benincasa hispida, and others. Most of the fancy gourds have long, climbing, or creeping stems. They can be grown on trellises, arbors, and fences, thus making attractive display plantings. 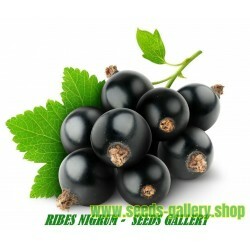 However, usually the fruit rather than the growing plant is considered ornamental. 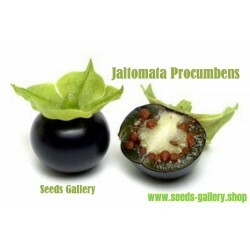 These fruit are generally most useful and attractive as ornaments when the pulp dries and the shell becomes hard. 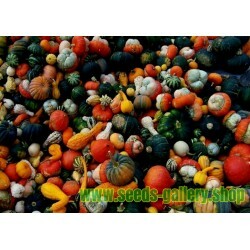 There are many shapes and colors of these fancy gourds. Some are warty, some are smooth, some long, some round, some striped, and some banded. Most of them are not grown as vegetables, although some are edible if eaten at an immature stage, such as the luffa gourd (sometimes called running okra). A few of the edible squashes are quite ornamental when mature, such as the yellow crookneck squash and the turban (Turk's cap) squash. 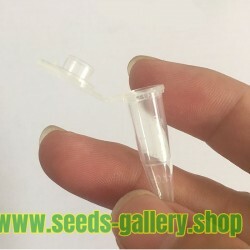 While the number of varieties is quite large, with new kinds being constantly raised from seed, the following kinds are more common. • Pear gourds: Most of this kind are pear-shaped, but vary in color and markings. Some are white and smooth; some have dark and light green stripes; some have two colors, half yellow and half green; some with two colors have bands; others may be found with these different variegations in various combinations. Apple and orange gourds: These small, smooth, round gourds are white or orange and slightly flattened. 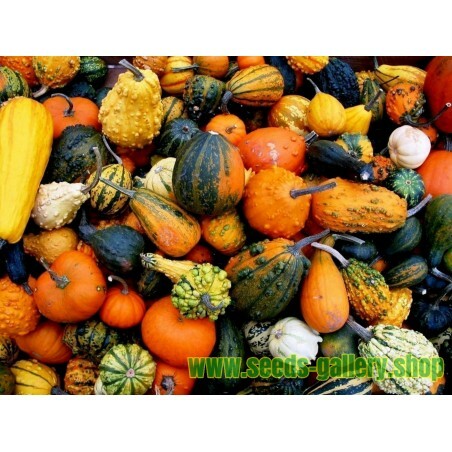 Flat fancy gourds: These pumpkin shaped gourds are small (only 2-3 inches in diameter) and are orange or mixed with various shades of green. Warty-skinned fancy gourds: Small round gourds with warty surfaces colored white, green, yellow, or orange. Siphon gourds: These have a large, 8 to 12 inch broad base and a long neck that curves back alongside the base toward the ground. They should be grown on the ground rather than trellises to prevent breaking the neck. Calabash pipe gourds: These are shaped much like a summer crookneck squash, except they are smooth-skinned. Dolphin gourd: These are light green and distinctly marked by ridges and unusual configurations. They are often displayed at fairs in Florida. Club gourds: These are long and shaped like bowling pins. Birdhouse gourds: These jug shaped gourds are often made into birdhouses. 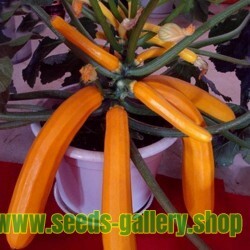 Bottle gourds: Typically, this kind is a combination of a broad round base, a bottle-neck, and a smaller round neck. There are many sizes, some holding as much as 2 gallons. Turk's cap (C. maxima): This 5 to 10 pound edible turban squash has a round orange bottom with the top one-third a protruding cream colored 'acorn' or 'navel'. The rind is relatively soft and fairly smooth. Luffa gourds (Luffa spp. ): These are also called running okra and dish-rag gourd. Some fruits have sharp ribs running lengthwise. Luffas are from 1 to 2 feet long, and their best eating quality is when they reach 1 to 2 inches in diameter. When mature, the pulp dries to the consistency of fibrous sponge that may be made into ornamental items such as hats, or used for scrubbing. Since they are so closely related to squashes and pumpkins, ornamental gourds may be grown throughout Florida. In North and Central Florida, plant as soon as the danger of killing frost is past. In South Florida, plant seeds in September through March. Gourds do best if grown on a trellis because of their vining nature and for prevention of fruit rots. Hills (1 to 2 seeds each) may be spaced 12 to 24 inches apart at the base of the trellis. If planted in an open garden, allow 4 feet between vines in the row and 4 feet between rows. Plant seed 1 to 2 inches deep. Unlike edible squash, which are picked in an immature stage, gourds should be allowed to mature and dry on the vine if possible. Cut specimens with a few inches of stem attached. Use sharp shears to harvest the gourds; never twist them from the plant. Once harvested, the fruits may be washed in mild, warm soapy water then rinsed and dried. A month or two of drying and curing in a dry, warm, airy room may be needed. Sunlight fades colors during drying. During curing, the thin film-like outer skin may be scraped off. Sometimes during curing, mold growths form on the shell in attractive patterns and may be retained for decorative effect. As ornaments, the gourds may be used with natural colors and shape unchanged, or they may be sanded and painted in imaginative colors and designs. The odd shapes of gourds inspire certain modifications, making them into figurines. For example, the calabash gourd is often called penguin gourd since it is easily made into a penguin figurine. In addition to ornamental value, many practical uses are made of them, such as hanging baskets, vases, fruit bowls, dippers, smoking pipes, birdhouses, and toys.